A bridge loan is a type of temporary loan taken out by a borrower against their owned property to purchase a new property. This type of loan is typically used when a borrower has purchased a new home but is still waiting until their old home sells. As this transition period can be financially draining, a bridge loan helps to fill the “gap” the transition causes. At Fairfax Mortgage Investments, we offer a variety of loans and financial products, including bridge types. If you need extra funds to span a financial gap, talk to one of our loan officers about applying for a bridge loan. Also known as “gap financing” or “swing loans,” bridge loans provide immediate cash flow to borrowers who meet strict requirements. If you are trying to sell your home but have already purchased a new one, a bridge loan can prevent you from running into financial trouble. To obtain a bridge loan, you will need some form of collateral, such as your home. The collateral will secure the loan. If you ever stop making the payments on your loan, the lender has the power to seize your collateral to recoup their losses. You may need to meet a minimum credit score to be eligible for a bridge loan. You should also have a low debt-to-income ratio. Bridge loans can be structured in several ways. Some homeowners may choose to pay off any existing liens on a property. A bridge loan can also be used as a second or third mortgage, which typically occurs when the loan is used for a down payment on a new home. If you choose to pay off existing liens, you will need to use the proceeds once your old home sells to pay off the bridge loan as well as any interest accrued during the transition period. 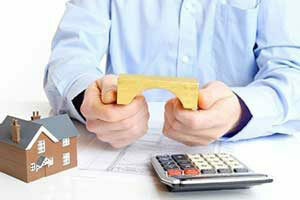 Like all types of home loans, bridge loans can vary depending on a variety of factors. When you contact Fairfax Mortgage Investments for a bridge loan, we will determine your eligibility and overall creditworthiness by looking at your credit score, credit history, income, and amount of funds needed. Bridge loans often carry an interest rate that is about 2 percent higher than the average for fixed rate loans. You may also be responsible for a closing cost which helps to offset the lender’s risk. The slightly higher interest rate and upfront costs are in place due to the higher amount of risk. If you are in the process of buying a new home, you may be wondering how taking out a bridge loan will affect your new home loan approval. Usually a bridge loan cannot be secured using a new home, which is a process referred to as cross-collateralization. This means that the loan would have to be attached to the property you already own. To determine eligibility, the borrower must prove their ability to pay all their obligations, including mortgage payments, the bridge loan, and any other bills or debts. The length of time a borrower has to pay off a loan will depend on a variety of factors, such as the size of the loan and the borrower’s ability to pay. 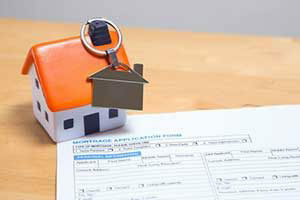 However, the lender will set due-and-payable dates that you must follow to avoid breaking your contract. Most borrowers have a time frame of about six months to pay off their loan. If their house has not sold within that time frame, they may ask for an extension. 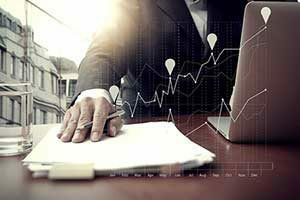 Borrowers may also face a due-and-payable-upon-sale clause to the contract. This means that that loan must be paid when the home is sold. While bridge loans are not right for everyone, they do offer a variety of benefits for some eligible homeowners. Bridge loans allow current or prospective homeowners to quickly purchase a property that they would most likely lose out on if they had to wait for traditional financing. In many cases, this new house purchase is a “move up” property or a client’s ‘dream home.’ Borrowers may also receive other benefits, such as the ability to make no payments until the term of the loan is up. One of the biggest benefits of a bridge loan is that the funds help hold you over until the property is sold. Buying a home is a major financial investment that can leave many homeowners “house broke.” This is especially true if they have difficulty selling their old home. A bridge loan provides the funds the borrower needs to survive while their home is in limbo. Borrowers of bridge loans also have flexibility in terms of repayment options. When a borrower repays the loan, they generally have the option of paying it all at once (usually when their old home sells) or paying the loan amount back in structured payments over a specified period of time. Taking out a bridge loan can also have a positive impact on your credit. If you continue to make all of your repayments on time each month, you can build up your credit which will help you get a loan with a lower interest rate in the future. With better credit, you can also take advantage of other loan perks like low down payments and closing costs. Are you a homeowner who is looking to sell your current home and purchase a new one? If so, you may be worried about how you will get by as you wait for your old home to sell. You may also be struggling to gather enough funds for a down payment. If you are facing a similar scenario, contact our loan officers at Fairfax Mortgage Investments to see how we can help. Fairfax Mortgage has more than three decades of experience in the business and have helped homeowners throughout Northern Virginia, Maryland, and Washington DC obtain the funding they need to ‘bridge the gap.’ Get started online or call our office today at 703-214-7255.